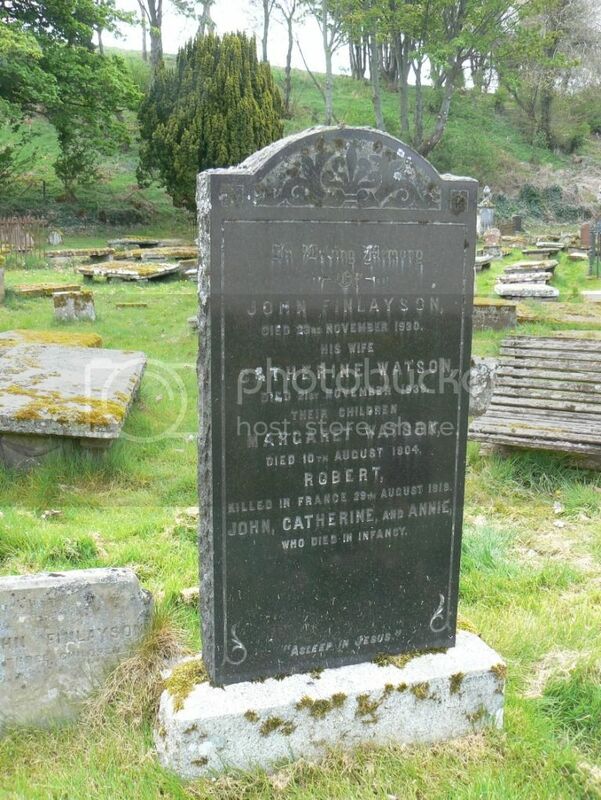 Son of John and Catherine Finlayson, of 5, Shore St., Cromarty. Panel ReferencePanel 136 to 138. 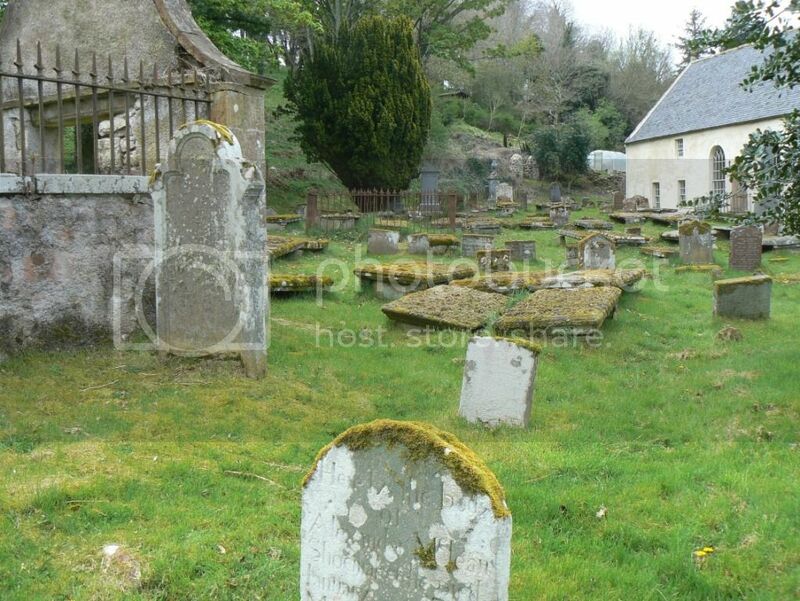 Son of James and Christina Hogg, of 29, Gordon Lane, Cromarty. 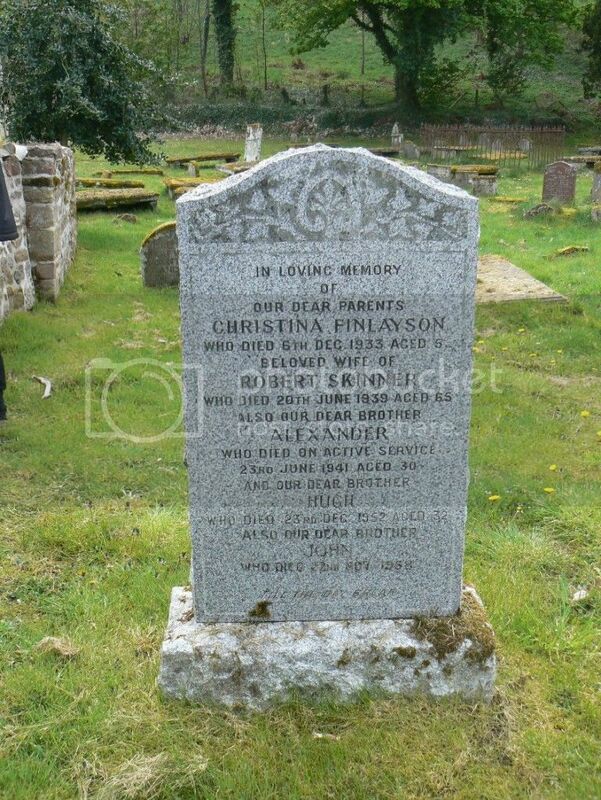 Son of Robert and Christina Skinner. They do rest from their labours. 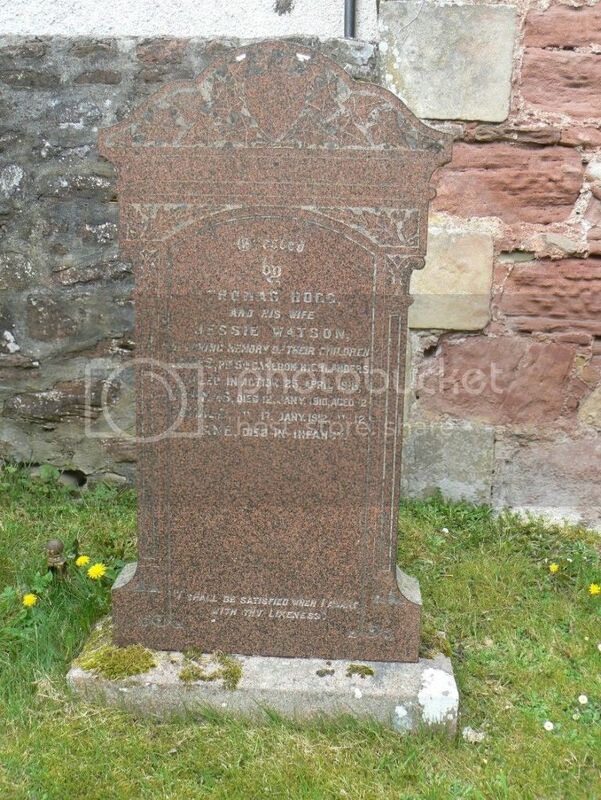 In memory of George William Holmes of Cromarty born 20th Aug 1825 died 19th Nov 1883. Served in the 32nd Gordon Highlanders from 1846 - 1850 and in the Highland Rifle Militia from 1854 to 1882. 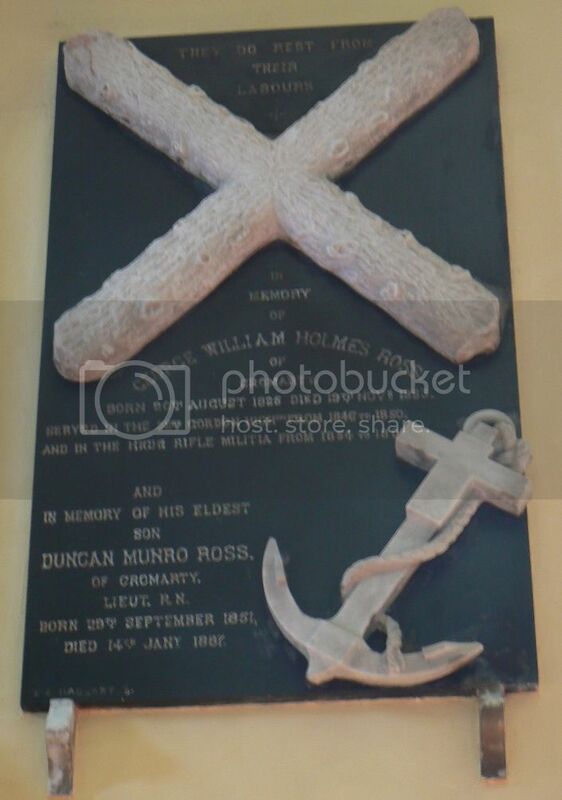 And in memory of his eldest son Duncan Munro Ross of Cromarty, Lieut. RN born 29th Sep 1851 died 14th Jan 1887. 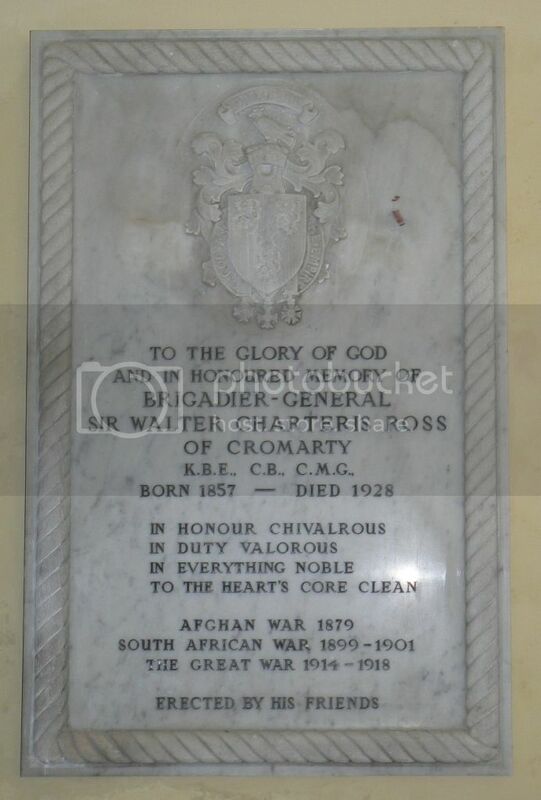 To the glory of god and in honoured memory of Brigadier-General Sir Walter Charteris Ross of Cromarty, KBE CB CMG born 1857 died 1928. In honour chivalrous; in duty valorous; in everything noble; to the hearts core clean. Afghan War 1879, South African War 1899-1901, The Great War 1914-1918. 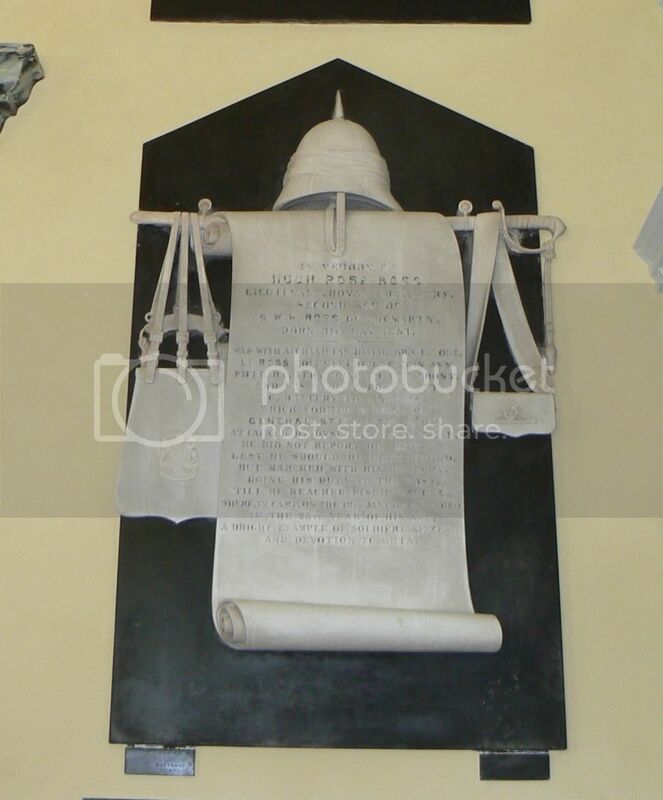 Erected by his friends. 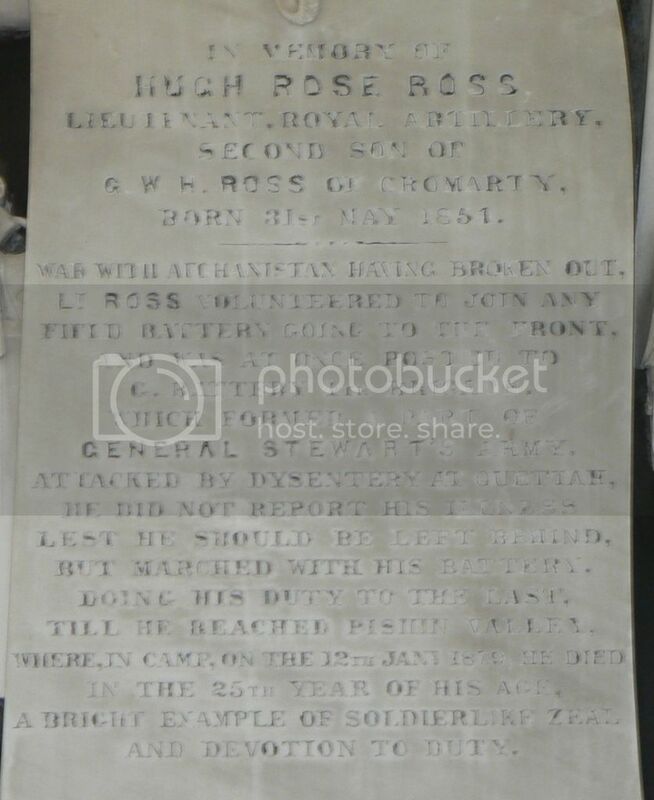 In memory of Hugh Rose Ross, Lieut Royal Artillery second son of GWH Ross of Cromarty born 31st May 1854 war with Afghanistan having broken out, Lt Ross volunteered to join any Field Battery going to the front and was at once posted to G Battery 4th Brigade which formed a part of General Stewart’s Army. Attacked with dysentery at Quettah he didn’t report his illness lest he should be left behind but marched with his Battery doing his duty to the last till he reached Pishin Valley where in camp on the 12th Jan 1879 he died in the 25th year of his age. A bright example of soldier like zeal and devotion to duty. 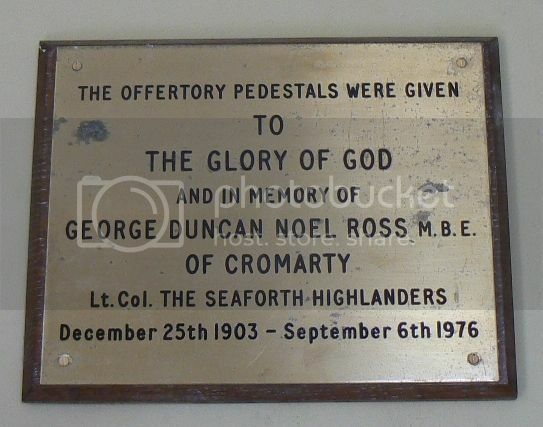 The Offertory Pedstals were given to The Glory of God and in memory of George Duncan Noel Ross, MBE of Cromarty. 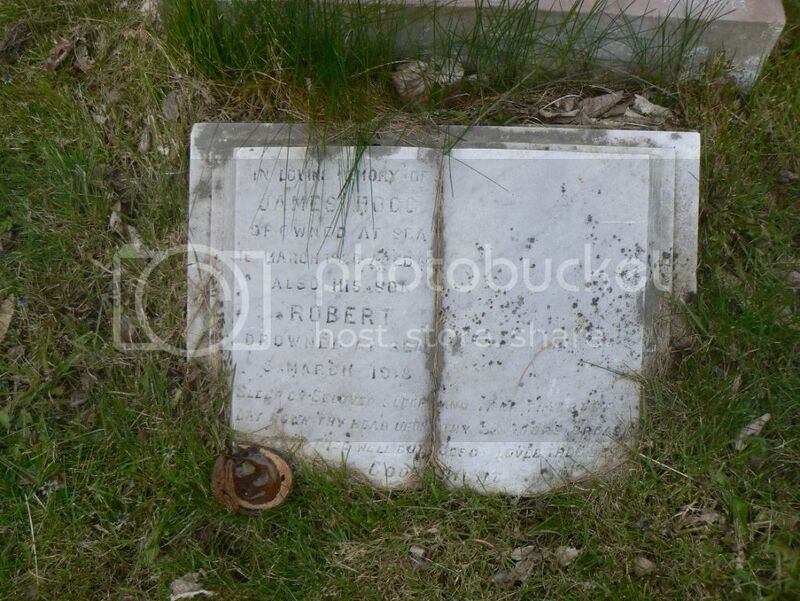 Lt Col The Seaforth Highlanders Dec 25th 1903 - Sep 6th 1976.